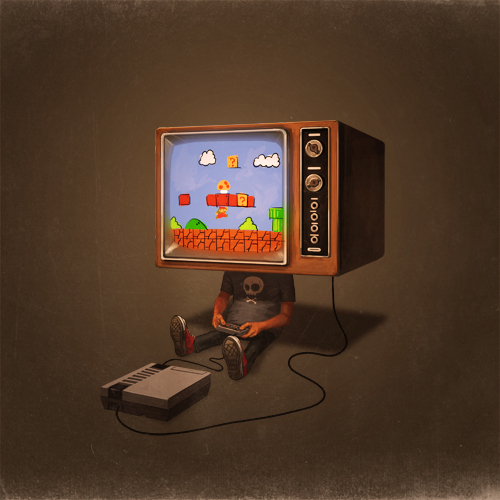 Mike Mitchell’s Self Portrait of a Life Well Spent! I think Mike Mitchell is quickly become one of my favorite artists. If you look at his work it speaks loudly to me and appeals to the geek/nerd side of me. 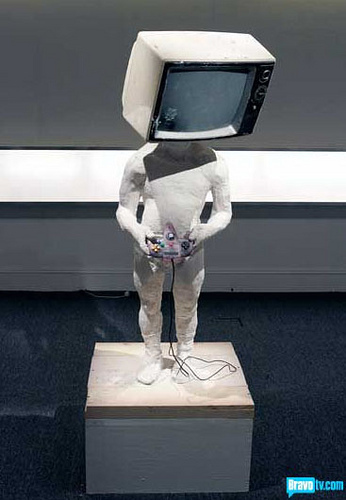 One of his latest pieces a self proclaimed quasi self portrait of his formative years shows a boy with a head of a TV playing the original NES video game system from Nintendo. Even though the image reminds me a lot of what Abdi did on the Bravo TV show “Work of Art” it’s still a pretty awesome image and I would love to have a print of it for my wall. Mike Mitchell has a store over at Etsy, but this particular image isn’t there if your looking for a print, as am I.